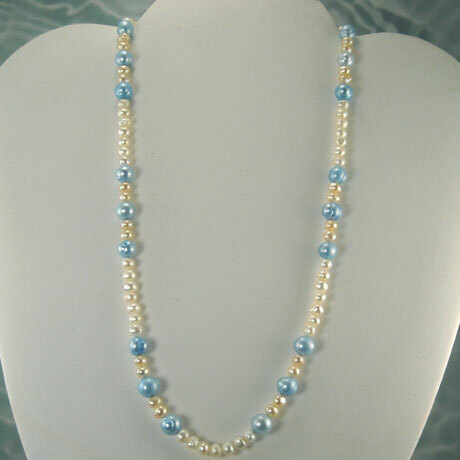 Home :: Pearls :: N0097 - Blue Pearl Accent 17"
Young and sassy, these Fresh Water Pearl necklace with baby blue accents will add that just right touch to any outfit. They will go as well with jeans and a tee shirt as they will with a scoop neck blouse and a skirt. Hand strung on Silk thread and finished off with a Sterling Silver lobster claw clasp.